The police are on the heels of eight persons including a policeman, Yemeni, Lebanese for allegedly violating the lawsbof the country. 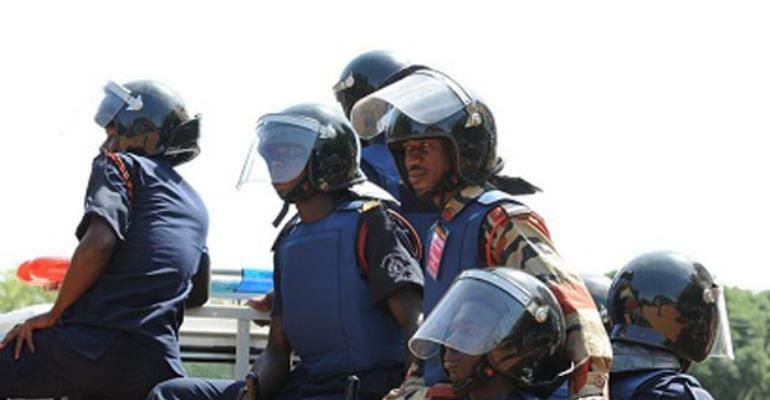 A police gazette signed by COP Maame Yaa Tiwaa Addo-Danquah, Director General/ CID, named the suspects as Abdul Rari Ould Mohammed, 44, a Yemeni businessman; Rukia Naji, 45, Yemeni and unemployed; Mohammed Ould Ibrahim, 58, alias Abu or Mahmid, a Yemeni; Michael Allan Asare, 38; and Jonas Kingsbelling, a police officer attached to the Bravo Swat Barracks Accra. The rest are Charlotte Williams, 41, Patrick Oppong, 22, Dukes Charles Appiah, alias Kwasi, 41, a trader. According to the gazette, Mohammed is alleged to have conspired to issue death threats to cause fear and panic. The Circuit Court at Kwabenya, Accra, has issued a bench warrant for his arrest. Rukia Naji is alleged to have also conspired to issue the death threats and was last seen at Tema Community 18. He is suspected to be hiding in Mali or Togo. Ould Ibrahim, according to the gazette, was last found at Community 18, and is suspected to be hiding in Mali, Togo, Benin or Nigeria. Asare, the release said, could be hiding at Madina, Adenta, Akropong, Ashongman or might have travelled to the US. The police said Williams was last seen at Agbogba, Accra. Oppong, according to the gazette, is a salesman and was last seen at Klagon and could be hiding at Nungua, Teshie, in Takoradi, Cape Coast, Kumasi or Tema, while Appiah, a trader, is believed to be hiding at Darkuman, Tepa, Tarkwa and Bubiashie in Accra. The policeman, according to the warrant, had travelled to Germany or US.